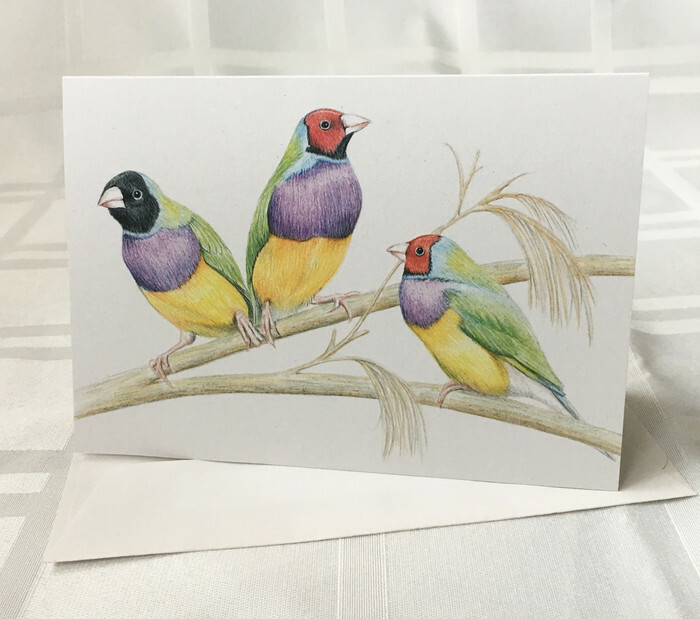 Gouldian Finches wildlife art greeting card. Australian threatened wildlife series. 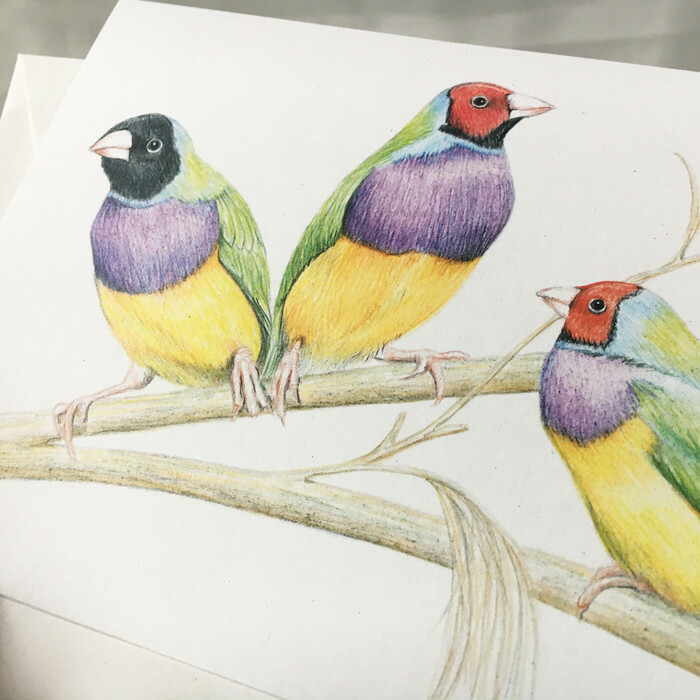 Front of this card features a reproduction of an original colour pencil drawing by Joanne Pearcy. 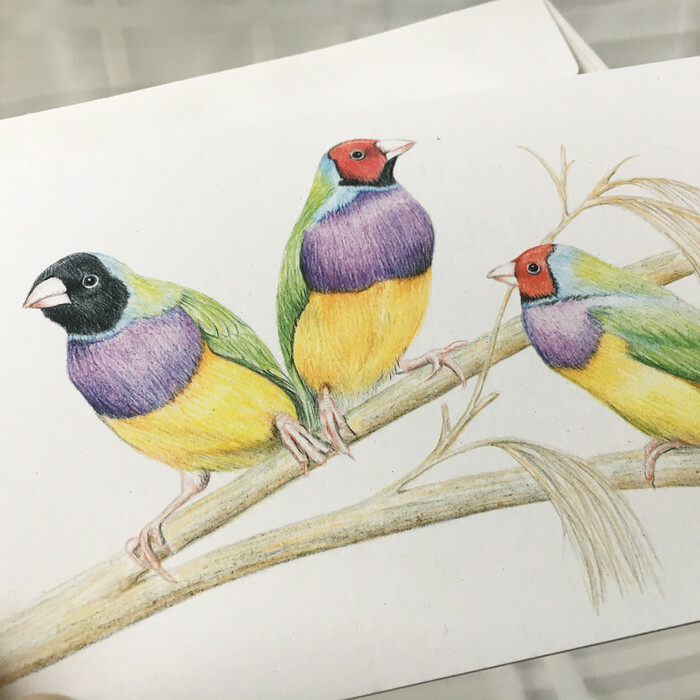 The Gouldian Finch is Australia’s most spectacularly coloured grassfinch. It is a small bird that is found in tropical northern sub-coastal areas, always near water. It feeds almost entirely on grass seeds and nests in tree hollows. Their population was once in the millions, however in recent decades has declined dramatically due to wildfires, feral herbivores, feral cats and captivity for the aviary trade. Inside is blank for your personal message. 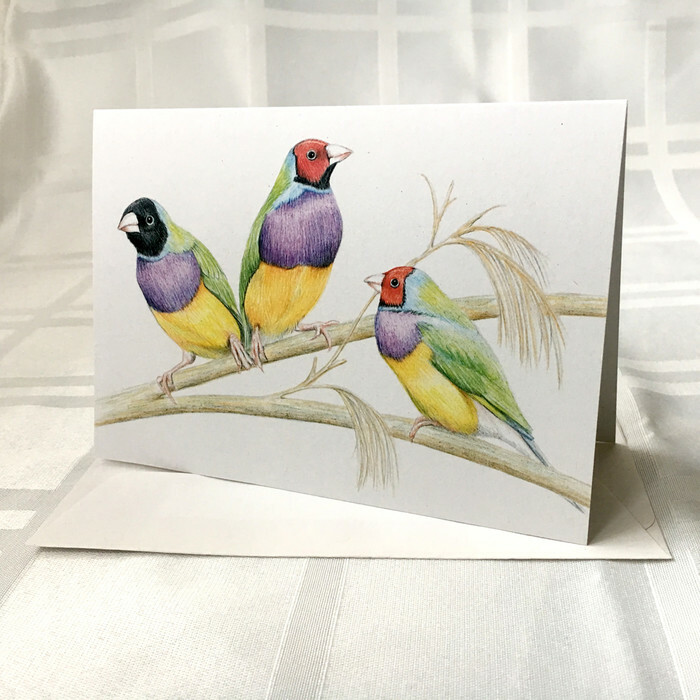 Professionally printed by the artist in Melbourne, Australia on 300gsm 100% Recycled card. 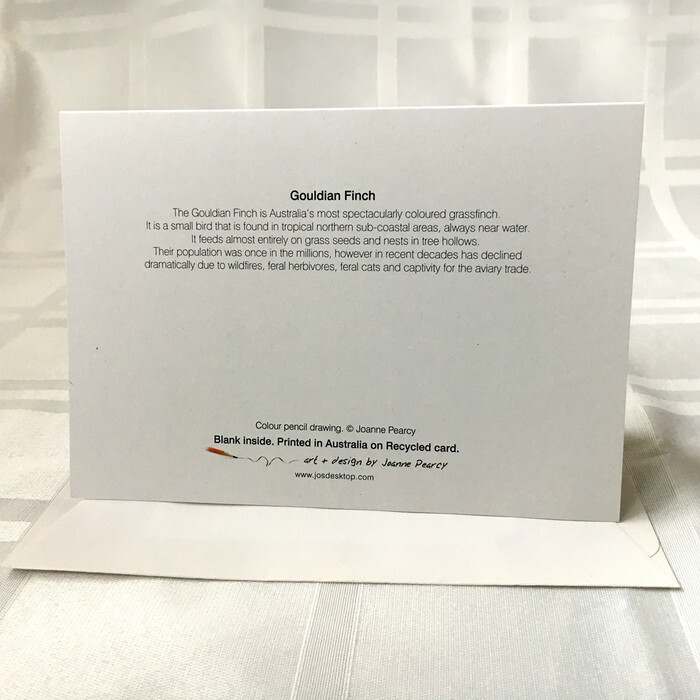 Each card comes with a matching 100% Recycled envelope, and packaged in a clear resealable cello bag. Size of folded card is A6 (105 x 148 mm). It will be protected by cardboard when mailed to you. ** Check out my other listings for more art cards. Combined postage, multiple orders or special requests can easily be arranged... just send me a message.